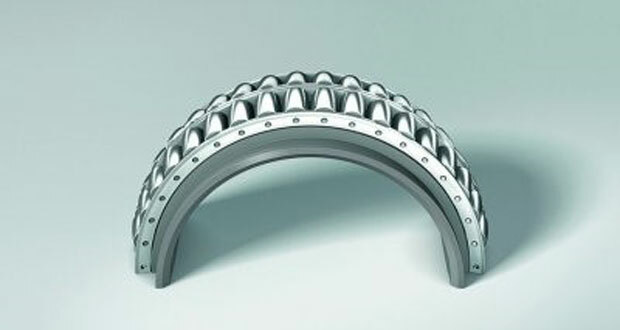 NSK has successfully replaced one-piece spherical roller bearings with specially-manufactured split bearings in the converter of a European stainless steel plant. Demonstrating utmost precision and care, this challenging service task was completed in just three days. When it comes to moving components in steel industry systems, users still expect maximum uptime despite the demanding conditions. This includes a Europe-based stainless steel mill, a highly integrated facility capable of producing around 500,000 tons of raw material every year. Processes at the plant range from alloy constituent extraction, smelting and alloy introduction, through to continuous casting and final stage finishing hot and cold rolling. The factory supplies its stainless steel to automotive and household appliance manufacturers, as well as the construction industry. 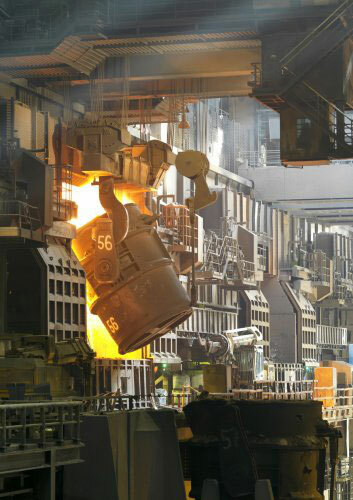 The plant’s converters are used to extract carbon from molten iron and add alloying elements (image 1). However, when fixed bearings in one of the converters were due for replacement as part of a scheduled maintenance routine, NSK was commissioned to undertake this testing task – a prudent choice considering the steel processing industry is one the company’s main focus sectors. NSK not only develops specific bearing types for steel mill operations, but where appropriate uses special materials in their manufacture. This ensures that the heavy duty drives of key equipment such as converters, continuous casting machinery and rolling mills, which must operate under very adverse environmental conditions, prove highly resilient. As requested by the customer, NSK produced a special split bearing (image 2) as replacements for the standard spherical roller bearings used previously. 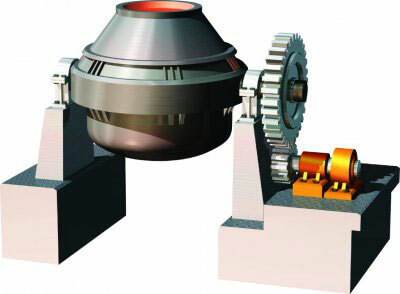 Among the special features customized to the specific space constraints of the converter’s configuration, the new bearings offered an outer diameter of 1000 mm to permit simplified installation and disassembly without any requirement to remove the large tilting gear unit, thus saving time and cost for the customer. NSK planned the replacement procedure with care to ensure minimum converter downtime. The tilting drive unit (image 3) was lifted sufficiently for the spherical roller bearing to be cut and removed. Once this was complete, significant signs of wear could be seen on the rollers, raceways and cage. It took NSK technicians just three days to install, test, measure the new bearings and deliver safety training with the support of the steel mill’s management team. 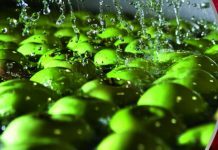 Throughout the process, NSK’s strict quality controls were observed, both with respect to precision, as well as cleanliness of the production environment. – The immediate working zone and nearby areas were closed off using foil to protect the bearing installation from any contaminants that may emanate from other maintenance procedures taking place concurrently in the smelting shop. 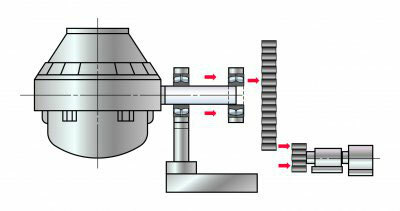 As demonstrated by measurements before and after a converter test run, all parameters were within pre-specified deviation tolerances, including the bearing clearance. With the converter and smelting production duly back in operation as planned, the steel mill staff responsible for the project were extremely pleased with the co-operative effort. The special NSK split spherical roller bearings are expected to achieve a long operating life thanks to the resilience of the material and the internal design, which is customized for heavy duty operation. 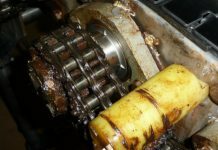 However, when the time arrives for these bearings to be replaced in the future, the process will be far simpler than before. Now, the two sections can simply be removed one at a time from the inner ring, outer ring and cage, therefore eliminating the laborious requirement to cut the bearing into small parts. This provides a saving in converter downtime of circa 35%, thus helping to deliver rapid return on investment. 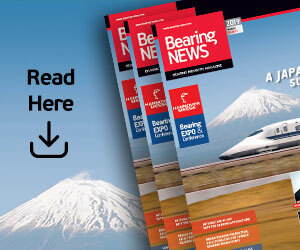 Established 100 years ago, NSK (Nippon Seiko Kabushiki Kaisha) is a Japanese-listed company that has evolved from a regional ball bearing supplier to a roller bearing specialist and automotive supplier with a global market presence. Today, NSK employs more than 31,000 employees in 30 countries. As per March 2015 NSK achieved a turnover of 975 billion Yen. This result has been driven by ever-increasing investment in research & development, enabling the company to continuously improve the quality of its products and services. 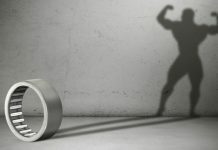 This investment supports NSK’s objective of “No. 1 in Total Quality”. In addition to a complete rolling bearing portfolio, NSK develops and manufactures precision components and mechatronic products, as well as systems and components for the automotive industry, including wheel bearing units and electric power-steering systems. In 1963, NSK’s first European subsidiary, Düsseldorf, Germany, was opened and in 1976, the first European production facility in Peterlee, England. 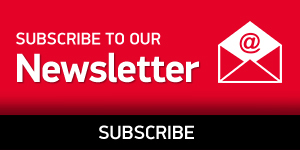 Today, NSK Europe supports pan-European sales with production locations in England, Poland and Germany, logistics centres in the Netherlands, Germany and England and technology centres in Germany, England and Poland. In 1990, NSK purchased the UPI Group including the renowned European bearing manufacturer RHP, with its factory in Newark (UK). Additionally, NSK has developed a comprehensive network of authorised sales distributors. NSK Europe is divided into application-based business divisions: Industry rolling bearing technologies & linear and precision technology (EIBU) as well as bearing modules and steering systems for the automotive industry (EABU & ESBU). In this organisation, NSK Europe’s 3,500 employees achieved a turnover of over 1,000 million Euros as per March 2015.